LOVEFiLM, Europe's largest subscription service - streaming movies and TV episodes over the Internet and sending DVDs by post - has signed a significant agreement with US-based Widevine, naming Widevine as LOVEFiLM's preferred provider of digital rights management (DRM) and video optimization solutions. This will allow LOVEFiLM's digital content to be accessed on the broadest cross section of devices. The agreement with Widevine will see LOVEFiLM further develop its digital content to be playable on many new devices, ensuring the largest possible audience for future use. 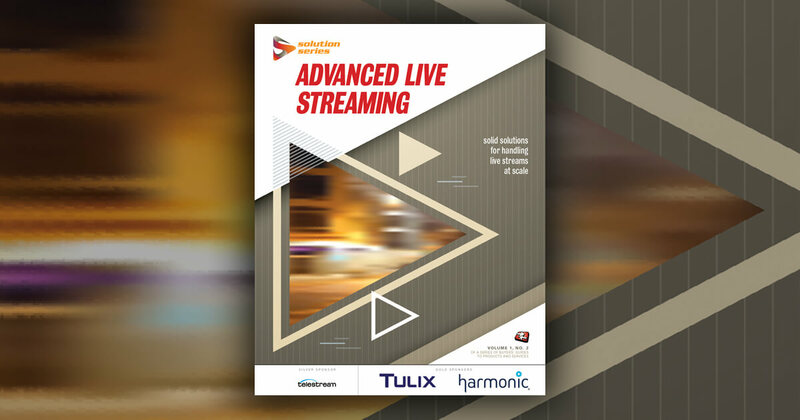 Widevine's DRM, adaptive streaming and virtual-DVD like trick play technologies will ensure the video remains both secure and at the best possible quality, providing viewers with the ultimate viewing experience across many devices. The Widevine platform is deployed by major Internet content services and large cable, satellite and telecommunication companies launching over-the-top strategies. The solution is natively supported in nearly all major brands and types of network connected consumer electronics including televisions, Blu-ray players, mobile devices, gaming systems and more. In addition to offering its 1.4 million members access to over 67,000 titles for rental, LOVEFiLM already offers thousands of films and TV shows available to ‘Watch Online' via the LOVEFiLM Player and on connected devices including SONY BRAVIA and Samsung TVs. LOVEFiLM Group Digital Officer, Lesley Mackenzie, said, "Our agreement with Widevine signifies our passion for offering high-quality digital content to our members by giving them the widest possible platform choice, value and convenience. Widevine's impressive DRM knowledge and adaptive streaming solutions are respected industry-wide and they are a great partner to help us continue our rapid growth in this sector." Widevine Chief Executive Officer, Brian Baker added, "Widevine is pleased to be working with LOVEFiLM enabling their customers to have the highest quality video experience while viewing LOVEFiLM content on a wide array of devices. Now customers of LOVEFiLM can have the flexibility to watch Hollywood content on the device of their choice." In a little over 6 years LOVEFiLM has become the leading European film subscription service combining the benefits of DVD rental by mail and watching movies online via the LOVEFiLM Player (on the PC or streamed to the TV). Customers can therefore choose how they want to watch from a selection of over 67,000 titles, including HD/Blu-ray DVDs, video games and digital streaming. LOVEFiLM has over 1.4 million members and operates in the UK, Sweden, Norway, Denmark and Germany. Widevine provides digital media solutions for the delivery of digital entertainment to any device. Hundreds of service providers and device manufacturers use Widevine's multiplatform DRM and video optimization solutions for securing high quality video and audio. Today, millions of consumers enjoy digital entertainment secured and optimized by Widevine on retail consumer electronics devices and legacy STBs from all major consumer brands. With over 60 patents Widevine is an industry leader and innovator of content protection and video optimization technologies. Widevine is a privately held corporation headquartered in Seattle, WA, whose investors include Cisco Systems, Inc. (NASDAQ: CSCO), Charter Ventures, Constellation Ventures, Dai Nippon Printing Co., Ltd (DNP), Liberty Global (NASDAQ: LBTYA), PaceSetter Capital Group, Phoenix Partners, Samsung Ventures America, TELUS (NYSE: TU), and VantagePoint Venture Partners. For more information: www.widevine.com.